More dancing! This turned out to be one of the best segments in the hit series. Too bad only a couple of minutes aired. Watching Louie ride a horse for the first time, throw a bale of hay, and deal with taunts from Ty and Chelsie was hilarious. The producer was Mike Pando from L.A., one of the most gifted creative talents in reality programming. 828 MEDIA was blessed to play a key part in the shoot. 828 MEDIA recently completed a web-promotion for the Comanche County Medical Center. What a great way to learn more about the culture and infrastructure of the county in which we are located. My great-great-Grandaddy, Charles Campbell was a founder of Comanche County in 1855. We love it here. Supporting our Military! Along with Active Relationships, a Dallas-based company, 828 MEDIA is producing a series of promotional videos to support healthy marriage and relationships in the Armed Forces. Covered in the promotions are subjects such as: separation and deployment issues, post traumatic stress, and traumatic brain injuries (TBI), it is a time of great need in the military community. We are humbled to be able to help. 828 MEDIA recently finished a great shoot with Lindner Media Productions covering the FLW East-West Bass Shootout on Falcon Lake straddling the Texas/Mexico border. For you fish-heads, you'll be happy to know that records for daily catch were set and smashed. 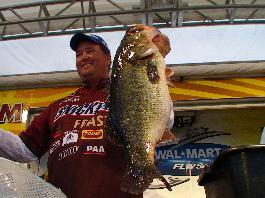 828 Media, captured many of the largest fish being caught and the frantic excitement of tournament action. It was a great gig and a good chance to break in the new camera which performed flawlessly.